SOCIALISM remains the worst form of economic and political ideology because it has become the greatest danger to modern democracy, rule of law and good governance, Kennedy Kamba has charged. 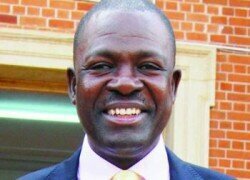 And Mr Kamba, the Patriotic Front (PF) Lusaka Province chairman said the Rainbow Party with its financiers was working hard to convince Zambians that the ideology was the answer to the country’s economic challenges. Yet, the ideology was being frowned upon by developing and industrialised countries. Mr Kamba said it was inept to ask Zambians to continue rioting and looting shops of foreign nationals with the hope of gaining political popularity at the expense of peace and political stability. Mr Kamba said while capitalism thrived on harnessing the full potential of individuals by giving them the sense to take responsibility for their own well-being, socialism literally took away that ability. Hence, making it a dangerous, but utopic ideology. He said in an interview that it was unfortunate Rainbow Party leader Wynter Kabimba and his deputy Cosmas Musumali were taking pleasure in the riots and looting of the shops belonging to foreign nationals and were encouraging Zambians to engage in lawlessness. Mr Kamba said the PF was working hard to positively change the lives of Zambians through the implementation of the many economic developmental programmes across the country. He said the youths in Lusaka were agitated that Dr Musumali was urging Zambians to continue rioting and looting under the pretext that it was poverty that was leading citizens to vandalise properties of foreign nationals. “There is a miscued belief by the Rainbow Party leadership that Zambians do not know and understand their socialism ideology. This is an economic and political ideology that has become the biggest danger to modern democracy, rule of law and good governance and Zambia having been a multiparty democracy should never fall in the hands of leaders pushing ideologies that promote autocracy. It is no wonder that Dr Musumali is erroneously encouraging Zambians to continue rioting and looting shops of our brothers and sisters of foreign origin. It is unacceptable in a Christian country,” Mr Kamba said. Mr Kamba said the riots and looting was not being caused by poverty and that those Zambians who were involved should know that they were breaking the law and threatening the country’s peace. Therefore, they should stop and be made to account for their criminal acts. He said Zambia was food secure and that some countries in the region were coming into the country to ask for maize and mealie-meal. It was therefore, being politically imprudent to suggest that the riots were as a result of poverty. Mr Kamba stated that no amount of propaganda was going to change the minds of Zambians to change Government by voting the PF out of power in the coming general elections.